Astragalus is a plant native to China. It is used for centuries in Chinese medicine. There are more than 200 species of astragalus, but for medicinal purpose 2 related spices, Astragalus membranaceus, and Astragalus mongholicus are used. Astragalus is popularly known as s milk-vetch root (English), Huang Qi (Chinese), ogi (Japanese), and hwanggi (Korean) etc. In Chinese medicine, the roots of the plant in combination with other herbs such as ginseng, angelica, and licorice, are used in the treatment of low immunity, chronic hepatitis, and as adjunctive therapy in cancer. It is also used for common colds, and upper respiratory infections, and heart disease. It is Qi tonifying, adaptogenic herb. For health benefits, the soups, teas, extracts, or capsules prepared from Astragalus are used. Astragalus dietary supplement can be used in r general weakness, chronic illnesses, to increase overall vitality, in diarrhea, fatigue, anorexia, upper respiratory infections, heart disease, hepatitis, fibromyalgia, and as adjunctive therapy for cancer. It is arming in action, and boosts the immune system. Synonym: Phaca membranacea Fisch. ex Link. Astragalus membranaceus belongs to plant family Fabaceae. It is a perennial flowering plant native to the northern parts of China. It is widely distributed in the pine forest region, and mountain areas in Northern China, Siberia, and Northern Korea. Astragalus may have potential benefits for the immune system, heart, and the liver, and as adjunctive therapy for cancer. Astragalus has antiseptic, antispasmodic, diuretic, immunostimulant, phagocytotic activities. It is beneficial in chronic diseases. It improves immunity to fight infections. Astragalus is useful for cardiac patients. It is demonstrated effective in angina pectoris. Astragalus intake lowers the risk of infections in nephrotic syndrome. It has a moderate diuretic action. In diabetic nephropathy, Astragalus intake over a period of 2 to 6 weeks supports better kidney function. Fresh root/day: 2–4 tablespoon; 1–3 g root (long term use). Astragalus may interact with medications that suppress the immune system, such as drugs taken by organ transplant recipients, and some cancer patients. Astragalus could theoretically offset or minimize the immunosuppressive effects of corticosteroids, and cyclosporine, based on its T-cell stimulating activity. Astragalus is considered SAFE for most adults. Astragalus all possible side effects are not well known. The most commonly reported side effects are diarrhea, and other mild gastrointestinal effects. 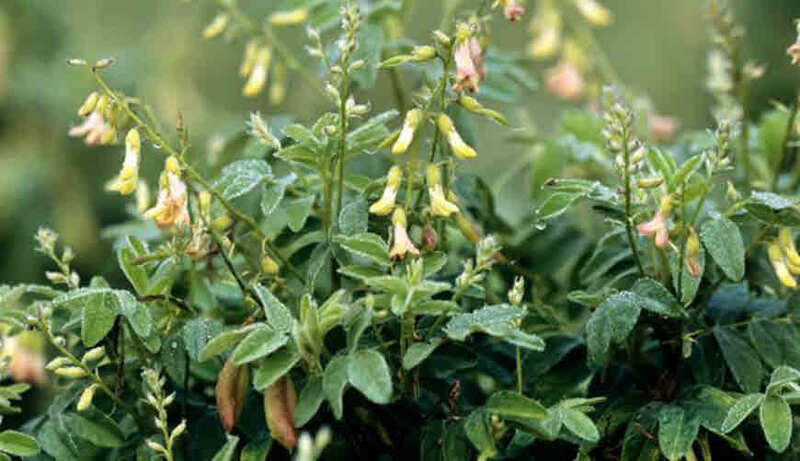 Astragalus may affect blood sugar levels, and blood pressure. Excess dose, more than 30 g day may induce high blood pressure, increased heart rate, insomnia, overstimulation, and /or palpitations. Some species of Astragalus contain a toxin called, and have been linked to poisonings. Astragalus is contraindicated in known allergy to plants of the daisy family. Astragalus should not be used during pregnancy, and lactation unless otherwise directed by a qualified health care professional.